Meowsers! It’s Merlin, on a holiday Mancat Monday called Labour Day in Canada and Labor Day the U.S. Let’s face it, there are very few cats with real money making jobs except maybe Grumpy Cat and her ilk. 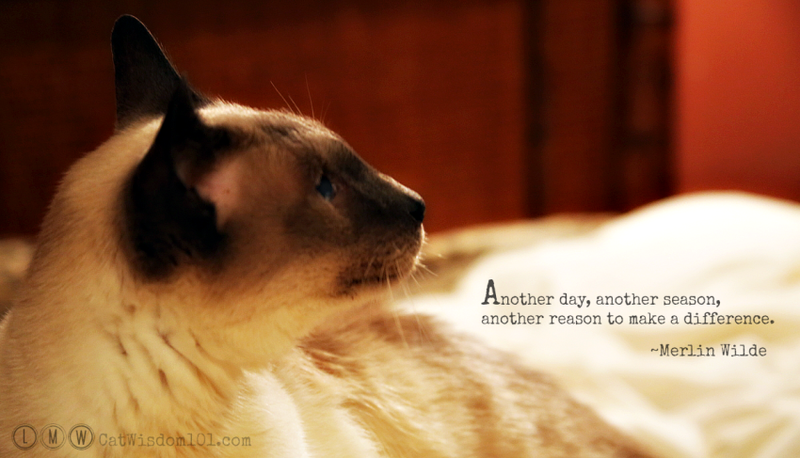 Today we’d like to celebrate fellow hard working cats who blog. We know how laborious it can be testing products, writing poems, reviewing books and modelling for photos, sometimes in silly costumes. And for what? A few treats and catnip toys? 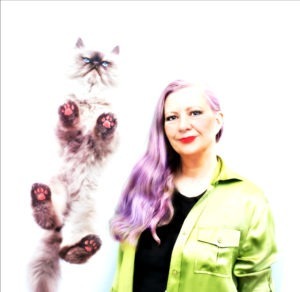 If you are a cat who blogs, we salute you! Maybe we need to gather the troops and create a union for higher pay and perks. Let me know. Meanwhile, we are doing a whole lot of nothing today. Zero labor. Thanks for sending healing purrs. Domino was almost back to normal when some fool neighbors put on a fireworks display last night that rivaled July the 4th! Thank COD when it ended my pal stopped hiding and we snuggled in bed. Odin’s limp is 72% better and he’s eager to walk on a leash. The turning point came last night when he climbed up the stairs and left the security of his Googie Bed. Thank-you for your purrs and good wishes. And me? I’m loving the hot, humid weather and Reiki healing time with Layla. She brought back grilled sirloin, ribs and swordfish from a BBQ, so life is good. How are you celebrating or not? Happy Labour Day to all of you. Love heat, but humidity flares my Fibro something awful. My cats are very intuitive and know I need love, so they’re busy, I Love them dearly. Happy Labor Day to you too! We are joining you in not laboring. Purrs! Happy Labor Day. I am glad his foot is doing better. Happy Labor day to all of you! We don’t celebrate it here in the UK. I am glad everybody is doing well. Personally, I’m not takin’ the day off from bloggin’ stuff but I AM talkin’ the day off from supervisin’ the peeps. Just hope they don’t get into too much trouble without, bein’ unsupervised. we is haffin’ a quiet labor day (only mommer an’ dad are doin’ ennything, an’ that’s cookin’ up a yummy feast). our bean brofur an’ sisfur-in-law is comin’ ofur, an’ dad has gone to get gramma from the old folks home, errrrrrr, mommer sez that should be “her apartment”. we will get scraps from chick-hen an’ noodlers, an’ sleep. so will the beans! wow! swordfish–did she hafta fight a dool wif it? It’s too hot and humid inside to do anything so we figure we’ll let Jan labor while we rest. We are so glad to know that everyone is on the mend, such a big relief. We still purr and pray for all those in need and ask that each of you do the same. Peace and Blessings to all. It is a huge relief and thanks so much. Sending lots of hugs and purrs your way. 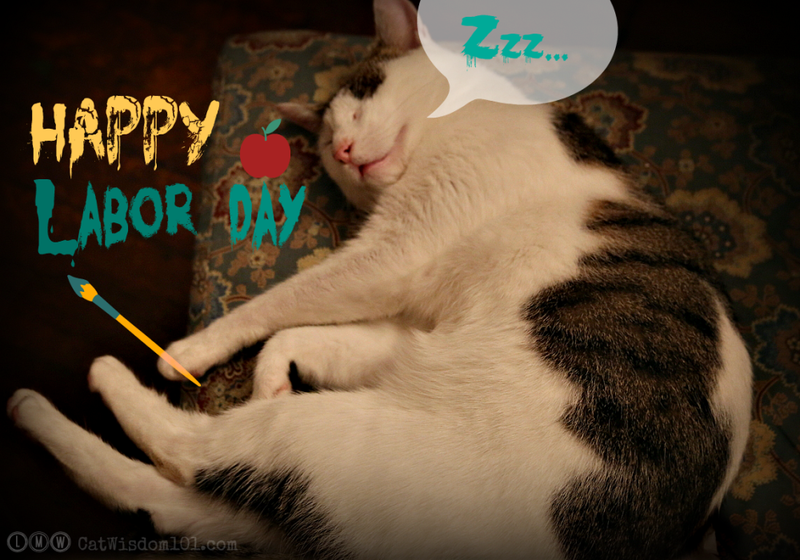 We like the way you’re spending Labor Day, Merlin! We think we’ll join you. Doing nothing sure works for us. 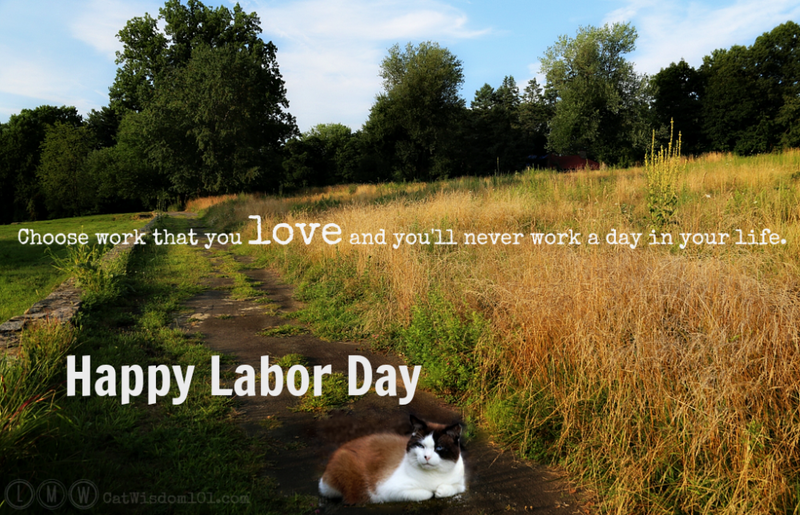 Happy No Labor Labor Day everyone! We’re doing a whole lotta nothin’ today too! Glad to hear Odin and Domino are doing better. I’m glad Domino and Odin are getting much better! We are enjoying holiday weekend by doing nothing, too! Very happy to hear that you’re doing well Merlin and that your brothers are better. We hope you have a lovely Labor/Labour Day with your Mom and Dad and that there’s no more noisy fireworks to be heard in your neighborhood so you can REST! We’re glad Odin and Domino are better and we’re continuing to send purrs to both. I’m glad Domino and Odin are better! Today, I’m celebrating getting spayed last week with my galpals!